Why they are so amazing is this. In just four tablespoons (about 45 grams) there is 15 grams of protein (about 33%). These proteins contain all the amino acids which are required for life. This includes all the essential amino acids that our bodies are not capable of synthesising internally. Protein as you know is also a great source of energy. The body prefers to burn it instead of converting it to fat for later use. The protein is also essential for muscle health as well as to rebuild muscle after exercise. The other 33% of hemp hearts content are polyunsaturated fats (much better then animal based saturated fats). Almost 80% of these fats are Omega-3 and Omega-6 fats. These fats are excellent for brain health (including good mood and memory). They are also strongly anti-inflammatory, thus benefiting patients with inflammatory conditions, such as arthritis for example. 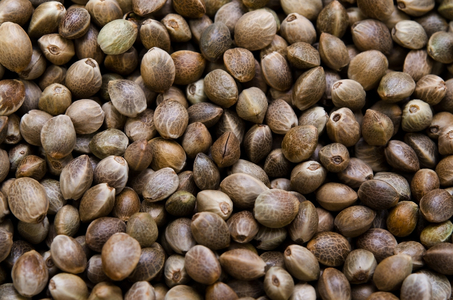 Speaking of medicinal uses, Hemp Hearts have also been found to be extremely beneficial for diabetics. The fats are also excellent sources of energy. They suppress our appetite and make us feel fuller. Thus Hemp Hearts are also excellent for weight loss. The other thing that amazes me about these little nuggets is the wide variation of ways that they can be consumed in a tasty way. Most reputable sources recommend eating four table spoons in the morning. This not only gives us all the benefits of this super food right from the get go, but also keeps our satiety satisfied for a prolonged period of time (sometimes even past lunch). Eating light in the afternoon with this kind of approach is a success story for losing weight in a very healthy way. In the morning they can be added to oatmeal, sprinkled on cereal, added to yogurt, mixed in a smoothie or a protein shake, or mixed with some fruits or in any other way that you like or prefer. If you miss your breakfast or want to add them to something in the afternoon, they are an excellent addition to salads. They can also be consumed straight form the spoon if one so desires. As a matter a fact I am so excited about this that I am going to have my four scoops right now. Enjoy the upcoming show on the NHS and don’t miss my Radical Remedies segment on probiotics. See you soon.